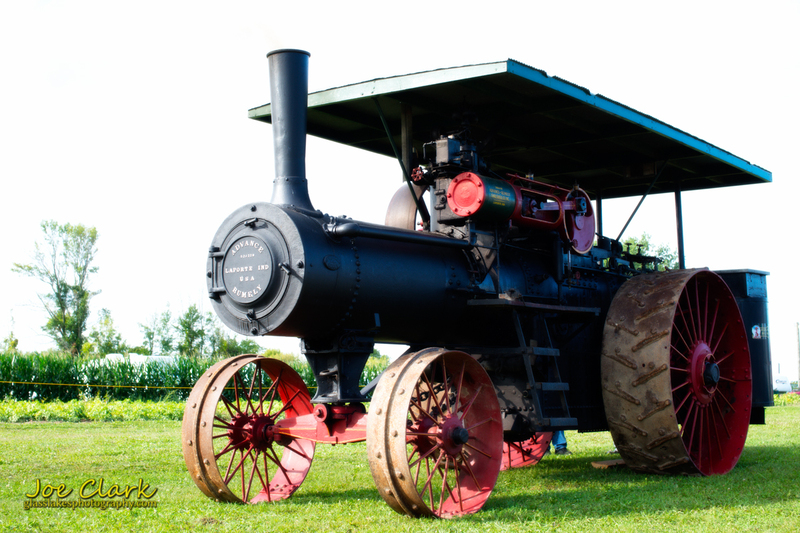 This amazing piece of equipment was powering a lumber mill at the Octagon Barn Festival in Gagetown, Mi this past weekend. In the process of filming the 100+ year old cast iron beast, an ember floated down and nearly set my camera bag on fire. The camera was on a tripod at the time so there is no capture of my battle with the synthetic material of the bag, but at least now I have a story. Here is one in still form.